In case you haven’t heard, you have less than a month to apply for the NineStart Graduate Programme, and to help you understand a little more about the role we’ve asked one of our current graduates, Elle, to give us a quick overview of her day to day roles and responsibilities! “I joined Nine Feet Tall in July 2018 and after completing the in-depth NineStart training, I started working closely with two other Nine Feet Tall consultants on one of our major, national clients, where we have been project managing the implementation of a new ERP (enterprise resource planning system). In this role, I manage the communication and engagement channels for the project and support the entirety of the project in a PMO capacity. A typical day for me might include creating training information packs, delivering the communications strategy for the project and sitting in on the programme board meetings, which the client’s CEO (among other senior leaders) attend. This role has introduced me to all the practical elements of a project, but I have also had to work on the softer skills of project management, such as stakeholder engagement, communicating upwards, influencing others, and dealing with conflict. The project has offered me a huge amount of freedom to tailor my role into something that would best support my personal development, and I don’t think that this is a common experience for graduates outside of Nine Feet Tall. Working with such a large client may sound like a daunting experience, but there is an amazing support and knowledge sharing culture within Nine Feet Tall, that really helps you to hit the ground running. 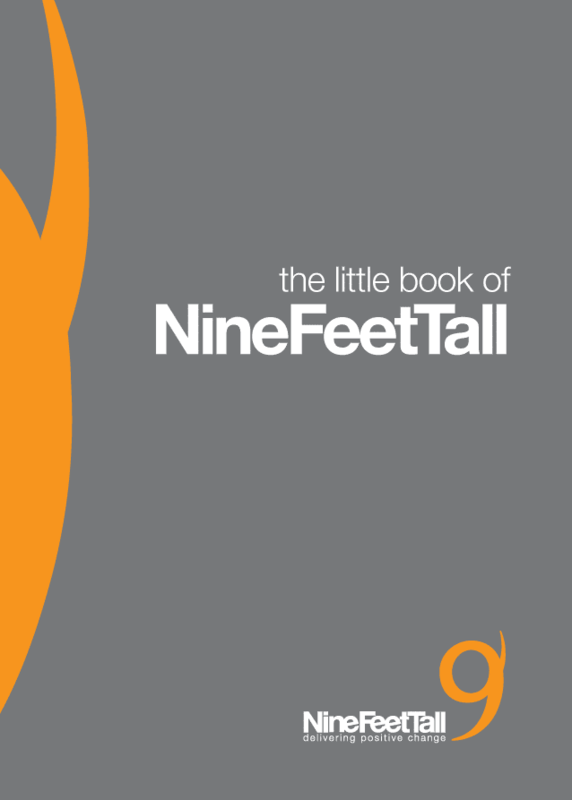 If you are interested in finding out more about Nine Feet Tall’s award-winning graduate development programme, please click here. Applications close on 20th February.